At the height of his popularity, he was dubbed by his studio the "King of Photo-Play." He had classic looks that were comparable to John Barrymore. He exuded self confidence. Bushman was a man of intellect and refinement, a model husband, dedicated churchgoer, patriot and social leader who commanded genuine respect. He fell from that high pedestal when he fell in love with another woman, Beverly Bayne. She was a woman with whom he had worked with in many films, she as his leading lady. In 1918 they married, days after his divorce had been finalized. Since that scandal broke they had ruined their careers. No one, the public or the movie industry would accept their relationship. 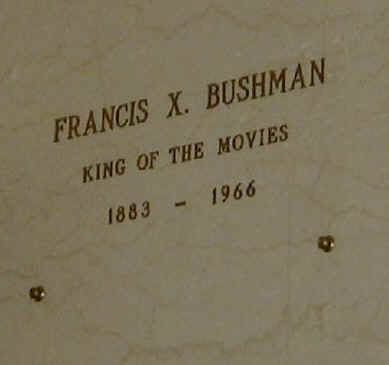 The marriage ended in 1925 while Bushman was making a comeback. He created the model for the modern leading man that symbolized a stylish era.